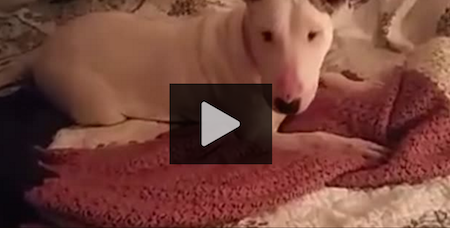 She Lived In A Cage For 7 Years, So When She Saw A Bed For The First Time…. LOL! Millie, A seven-year-old Bull Terrier, spent her life in a cage, giving birth to puppies. She never had a real home, or even proper veterinary care. Thanks to Pibbles & More Rescue, she was saved from that life of servitude. And now she’s finally experiencing happiness for the first time!